The DA is calling for a thorough review of the Broadcasting Digital Migration policy process. 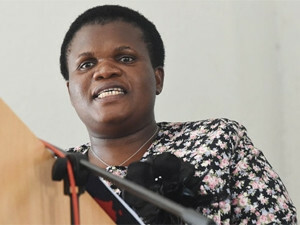 The Constitutional Court (ConCourt) has ruled in favour of former communications minister Faith Muthambi, in a judgement that favours non-encryption for government-subsidised set-top boxes (STBs). Yesterday, the ConCourt upheld the appeal by Muthambi, against last year's judgement of the Supreme Court of Appeal (SCA), which had ruled in favour of encrypted decoders. The SCA at the time said a clause in an amendment to the Broadcasting Digital Migration (BDM) policy was unlawful and invalid, and set aside the provision in the policy that suggested government-subsidised set-top boxes would not have encryption capability. Muthambi, the SABC and M-Net then filed applications with the ConCourt for leave to appeal the SCA ruling and their applications were opposed by Etv and others, including SOS Support Public Broadcasting Coalition and Media Monitoring Africa. In yesterday's judgement, the ConCourt says the order of the SCA is now set aside and replaced. "The appeal is dismissed. Etv, SOS Support Public Broadcasting Coalition and Media Monitoring Africa are to pay [M-Net's] costs, including costs of two counsel. Etv, SOS Support Public Broadcasting Coalition and Media Monitoring Africa are to pay costs of [M-Net] in this court, including costs of two counsel." This final ruling over the technical specifications of STBs means there is an end in sight for the finalisation of the much-delayed digital migration process. 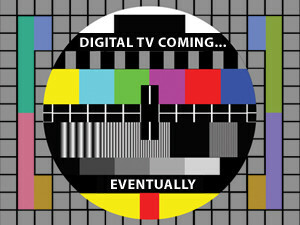 SA has been planning for digital migration since 2008 but missed the June 2015 deadline to switch from analogue to digital terrestrial television (DTT). 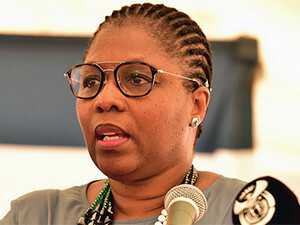 While new minister Ayanda Dloldlo previously said she will introduce the encrypted form of digital terrestrial television (DTT) in line with the policy of the African National Congress, the department has yet to comment following the court's ruling. In March, president Jacob Zuma reshuffled his Cabinet and moved Muthambi from the minister of communications to minister of public service and administration, replacing her with Dlodlo. The Democratic Alliance (DA) has now appealed to Dlodlo to consider its request for a thorough review of the BDM process following the ConCourt's ruling. "Production of the first tranche of 1.5 million decoders was halted in late 2015 because of legal challenges to the policy. More than 500 000 decoders had been produced and are housed in South African Post Office warehouses awaiting distribution. A small number of decoders have been distributed to households in the Northern Cape and border areas," says DA MP and shadow minister for telecoms and postal services Marian Shinn in a statement. New communications minister Ayanda Dloldlo. "I call on the minister to use this opportunity to reveal what steps she proposes to stimulate the ICT sector to join forces and contribute expertise to accelerate the transition from analogue to digital broadcasting," Shinn adds. The communications department began phase one of government's analogue switch-off project, with households in the Northern Cape switching to DTT last October. These are households in towns that sit in the core Square Kilometre Array area and require the use of encrypted STBs for digital migration. Government plans to subsidise five million indigent TV-owning households across the country with free STBs.